"Still Life with Bread Crumbs" begins with an imagined gunshot and ends with a new tin roof. Between the two is a wry and knowing portrait of Rebecca Winter, a photographer whose work made her an unlikely heroine for many women. Her career is now descendent, her bank balance shaky, and she has fled the city for the middle of nowhere. There she discovers, in a tree stand with a roofer named Jim Bates, that what she sees through a camera lens is not all there is to life. 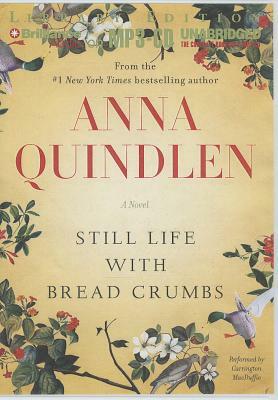 Brilliantly written, powerfully observed, "Still Life with Bread Crumbs" is a deeply moving and often very funny story of unexpected love, and a stunningly crafted journey into the life of a woman, her heart, her mind, her days, as she discovers that life is a story with many levels, a story that is longer and more exciting than she ever imagined.